Schedule: Lebron James in Manila on August 19-22, 2015 - Balita Boss! Get ready, @KingJames will be arriving to inspire Team Rise and Pinoy basketball to the next level. 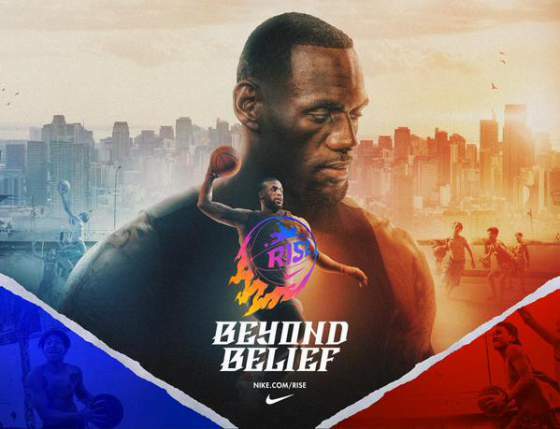 NBA superstar Cleveland Cavaliers forward LeBron James is set to return to Manila on August 19 to serve as inspiration and guest mentor in Nike Rise, a first ever reality documentary and basketball development program. James will be the second NBA player to act as guest coach after Paul George, the Indiana Pacers forward who arrived last July 19 to unveil the 24 aspirants for Nike Rise. August 21/22 - Tenement in Bicutan, Taguig and to act as mentor between players from the Nike Rise program and a selection of players from the collegiate ranks. The four-time Most Valuable Player and a two-time NBA champion first visited the country in 2013 as part of its "Leave a Message" campaign designed to inspire young Filipino athletes to strive for greatness and perhaps be like James. Drafted first overall pick by the Cavaliers in 2003, James went on to win two championships with the Miami Heat before returning to Cleveland. His team lost to Golden State Warriors in the recent NBA Finals series in six games, led by Stephen Curry, who also scheduled for a one-day stop in Manila on September 5.